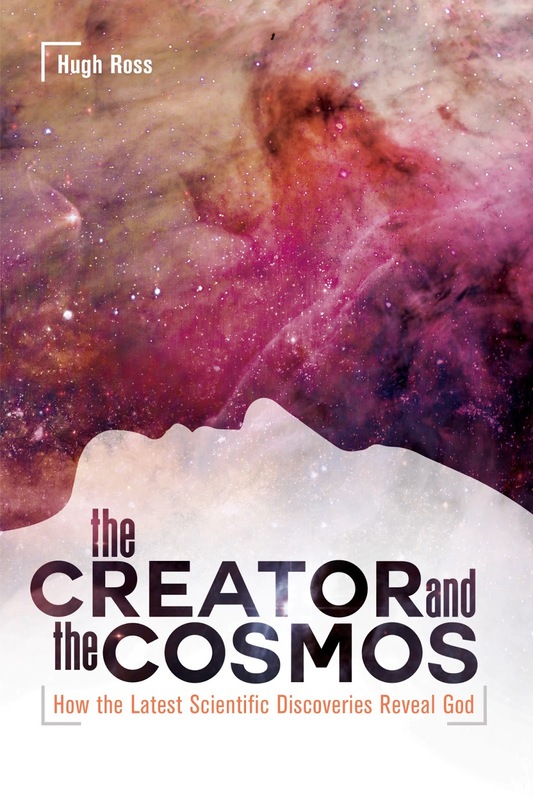 Several years ago, when I was struggling with science/faith issues, I stumbled upon astrophysicist Dr. Hugh Ross' book "The Creator and the Cosmos." He had released the third edition of the book, and many people were recommending it for those with science/faith concerns. I was already somewhat familiar with Dr. Ross' name since I had read "The Fingerprint of God" in the mid-90s but had not pursued much more investigation (most of the content was way over my head at the time). I decided to pick up a copy of that new book in the mid-2000s and took the time to read through it carefully. I was astounded at the strength of the scientific case Dr. Ross presented for the existence of the God of the Bible. The book helped me overcome my struggle with science and paved the way for a deeper and more reasonable faith that I still continue to investigate and communicate to others to help them through their intellectual struggles. Not only can I know emotionally and spiritually that Christianity is true, but I can know it intellectually and reasonably. Of course, I have been blogging for quite a few years regarding how to demonstrate the reasonableness and truth of the Christian worldview, and in doing so, I have been providing my readers with chapter-by-chapter summary-style reviews of many of the books that I read. A couple years ago I decided to begin going back through some of the apologetics books that I read early on, and "The Creator and the Cosmos" was in my stack. Not too long after I made that decision, though, I found out that Dr. Ross was working on a new edition that would add the most current discoveries to his original case (making it even stronger) and address even more challenges to his case that various scientists have proposed since the book's third edition was published. I decided to hold off on my review until that new edition had been released. Well, IT IS HERE!!!!! And I cannot be more excited for it! In keeping with my usual book reviews, I will provide a chapter-by-chapter summary then provide my recommendations. If you are reading this review on the Faithful Thinkers blog, I have embedded quotes and videos to enhance the review and better communicate the content of the book. Before I get to the summary, let's start with this short video from Dr. Ross about how his investigation of the cosmos led him to the conclusion that the personal God of the Bible exists and led him to dedicate his life to Jesus Christ. Are you ready to see how astronomers and astrophysicists are discovering every day that "the heavens declare the glory of God" (Psalm 19:1)? Dr. Ross begins by describing how, as a young boy who was fascinated with astronomy, he discovered that people, in general, are intrigued with the study of the cosmos. He explains that this is not an empty curiosity but rather a profound one. If the universe had a beginning, then something must have existed to cause it to begin, and if the universe exhibits great detail in its creation, then the life that ultimately resulted must have a purpose in the mind of its Creator. He notes that the study of the cosmos is not merely a scientific pursuit of knowledge of the physical world, but it is fundamentally a philosophical and theological inquiry. Historically different groups of scholars have claimed superior knowledge of the cosmos. Scientists, theologians, and philosophers have seen their own disciplines as superseding any discoveries or claims from the other two. This has caused a lot of conflict in the academy and has placed unnecessary limits on the fruits of studying the cosmos. Dr. Ross encourages, not a separated study of the cosmos by those in these disciplines but, an integrative approach: one that takes the knowledge of all three and aims to combine their knowledge to discover a more complete and precise picture of the whole. By taking this approach, the study of the cosmos ultimately becomes tied to two of the deepest questions of life: what is the meaning of life and what is my purpose in life. Dr. Ross takes a chapter to recount his own journey. From the age of seven, he had a fascination with astronomy and his investigation of the cosmos began. By the age of fifteen, he was convinced that the universe had a beginning, and thus a Beginner. For a short time, he believed that the beginner was unconcerned with His creation (a deistic approach), but his studies of world religions in high school informed him that people all over the world tend to believe that their holy books accurately describe reality, including the origins of the universe. Even though he fully expected that all the world's religions would get the science wrong, he resolved to objectively investigate the claims of the world's religions regarding the universe's origins to test if they even had the possibility of being truly authored by the Creator/God of the universe. One-by-one Ross found errors in the various holy books about the universe, eliminating them from the realm of truth; that is until he started investigating the Bible. It took him eighteen months of nightly study to come to the conclusion that it not only contained no errors regarding the universe, but the Bible accurately described features of the universe that no person of the time of authorship (even the latest possible dates) could have possibly known. In fact, he calculated that the Bible is roughly 10^58 times more reliable than the laws of physics. At that point, he was convinced that the Bible was supernaturally inspired by the same Beginner of the universe, and he surrendered his life to Jesus Christ and spreading the Gospel using the evidence provided by the Creator's creation. Roughly twenty-five hundred years before big bang cosmology was proposed through theoretical physics or was evidenced by observing the cosmos, the Bible, against all other cosmologies of the contemporary cultures, claimed that the universe had a beginning and was expanding: the two most fundamental features of big bang cosmology. Dr. Ross cites seven passages in the Old Testament and three in the New Testament that state that the universe had a beginning, and seven passages across both Testaments that unequivocally identify God as the cause of the universe. Eleven different passages claimed that the universe was not static but was expanding, and three of them state explicitly that the expansion was taking place by God's intervention. What makes these passages truly interesting is that some indicate that the expansion is ongoing by God's sovereign, providential command, while others indicate that God has completed the expansion. According to big bang cosmology, the laws of physics were set (completed), at the creation of the universe, in such a way to ensure the continual expansion of the universe at the proper rates at the proper times to ultimately prepare a home for humans (see Dr. Ross' book "Improbable Planet: How Earth Became Humanity's Home" for the details on this painstakingly engineered and beautifully orchestrated process). And taking the cosmological claims even further, the biblical authors add (several times) that the universe is governed by constant laws of physics since the creation event that included the law of decay (second law of thermodynamics- transfer of energy from hot to cold matter). Dr. Ross uses the passages to argue that the Bible also identifies a third fundamental feature of all big bang cosmological models: a constantly cooling universe. None of these concepts were known or even knowable to the ancients except for through divine inspiration by the Creator of the universe, Himself. The fact that scientists are discovering features of the universe recorded only by the writers of the Bible argues powerfully not only for God's existence, but that He inerrantly inspired the words of Scripture. Implications of the big bang family of models is generally misunderstood by many theists who stand against the theory. Dr. Ross concludes the chapter by clearing up a couple understandings of big bang cosmology in an effort to alleviate some of the emotional concern about the theory being in conflict with the Bible or the God of the Bible as the Beginner. For more on resolving a literal and historical reading of Genesis with the scientific discoveries, see Dr. Ross' books "A Matter of Days" and "Navigating Genesis." All hot big bang models predicted that scientists would discover that the universe and all it contains rapidly expanded from a nearly infinitely small volume with a nearly infinitely high temperature. While theoretical physics predicted that some form of big bang cosmology was correct and other indirect evidences existed pointing to the same conclusion, no signature (evidence of this nearly infinitely hot initial volume) had been discovered, until the early 90s. In 1992 the announcement of the big bang theory's finger print was made: the COBE satellite had discovered direct evidence of the cooling of the universe from its initially hot state. Not only did this discovery establish that the universe began from a near-infinitely hot volume, but it also established that the expansion of the universe was incredibly finely tuned. Dr. Ross uses the analogy of an oven to illustrate both implications of the COBE observation. When an oven is heated, the space closer to it will be hotter while the space further from it will be cooler, and when the oven is turned off for an extended period of time, the temperature throughout the room will normalize. COBE measured outer space to be the same temperature in all directions at the same distances, indicating that a source of heat had existed at some point in time. COBE also measured hotter temperatures at further locations, indicating that the source of heat had been "turned off." This not only confirmed the universe's beginning as predicted by big bang cosmology (and the Bible before it), but it also falsified several competing beginningless models. Placing the big bang on even firmer evidential ground was the fact that the measured temperature and temperature differences matched a 1940s prediction of the theory. On first impression, it may appear that the uniformity of the temperatures raises a problem: how can stars form if the temperature is perfectly uniform throughout the history of the universe? Interestingly enough, though, the temperatures measured by COBE were not perfectly smooth across directions and distances. The variations were small enough that the implications of a beginning stood firmly yet large enough that stars, galaxies, and galaxy clusters could form, and form at a finely-tuned rate necessary for life. As time went on from the initial COBE discovery announcement, more instruments were used to independently confirm the discovery, and more precise measurements were taken that led to the refining (fine-tuning) of the big bang models and galaxy formation models. Since then, numerous observations continue to confirm COBE's discovery of these predictions of big bang cosmology. As more and more discoveries are made, science continues to confirm the biblical claim that the universe had a beginning caused by a Beginner outside of time and space. The evidence for God as the Creator is getting stronger every day. Dr. Ross continues the chapter going into detail on numerous discoveries that establish the beginning and fine-tuning of the universe. The previous chapter only covered the discoveries from the 20th century that establishes the beginning and fine-tuning of the universe, which was enough to place them on powerful evidential grounds. As technological breakthroughs continue, the mound of evidence grows. In the next two chapters, Dr. Ross details discoveries of the 21st century that continue to establish the biblical truth of God as Creator and Designer. While discoveries of the 20th century established that the universe was expanding, discoveries of the 21st century have revealed the rate of expansion. Using type 1a supernovae discovered in the last 20 years, scientists have been able to establish the expansion rate of the universe during the different epochs of the history of the universe. As technology has advanced, these measurements have revealed an extremely finely tuned expansion, and newer technology is expected to reveal more precision in the coming years. When Albert Einstein originally formulated his theory of relativity, it predicted that the universe had a beginning, but that was in direct contradiction to the popular cosmological models of the time. Einstein did attempt to make his theory compatible with beginningless models by adding a "cosmological constant;" however, the discoveries (discussed in the previous chapters) demonstrated that Einstein's original theory was correct. However, scientists have placed the "cosmological constant" back into the equations, but using different values than Einstein, not in an attempt to avoid a beginning but, to explain the expansion of the universe and maintain the universe's beginning. This "cosmological constant" is commonly known as dark energy. Not only is dark energy a problem for naturalism because it necessarily implies that the universe had a beginning, but it necessarily implies that that beginning was too recent in the past for naturalism to explain the origin of life (see Dr. Ross' book "Origins of Life" for an in-depth study of this challenge) or the diversity of life we see today. As independent discoveries continue to establish that the denial of dark energy's existence is irrational, dark energy is providing some of the most powerful evidence, not just for the beginning of the universe but, that the universe's expansion was finely tuned for life. The same evidence, that leads to the conclusion that the universe has a beginning, when studied in more depth also reveals fine-tuning to a level of 1 part in 10^122 (that is 10 with 122 zeros after it). To say that scientists have discovered that the universe is "exquisitely designed" is a most spectacular understatement. While a cosmic beginning and the cosmic expansion have been overwhelmingly confirmed in these beginning years of the 21st century, several other predictions of big bang cosmology have been put to the test. Big bang cosmology can be tested by making measurements of the amounts of different elements at different epochs of the universe. Dr. Ross explains several independent studies that have yielded confirmed predictions regarding the abundances of helium and deuterium; however, measurements of lithium abundance have missed the mark, indicating incomplete detailing of the current suite of models. Several possible solutions have been proposed, resulting in more detailed big bang models to be tested as technology advances. Other ways to test big bang models have also only become available in the 21st century. The spatial separation of galaxies over time has provided another test for big bang cosmology. Over time, the general model predicts that galaxies will be further and further apart from one another. As cosmologists observe galaxies further and further away from earth (further back in time, since it takes time for light to reach the telescopes), the galaxies appear closer and closer together gradually as distance increases. Another test would be the predicted rate of expansion over time. Building upon the discussion in the previous chapter, using the fine-tuning of dark energy, big bang models predict the amount that has elapsed since the creation event itself. The time calculated is roughly 13.78 billion years. To test this age, several other independent methods have been used to determine the age as well, and all are consistent within the error bars (±0.26 billion years). If big bang cosmology was incorrect, the ages discovered using independent methods would differ radically not within the error bars of the initial prediction. Building further upon those confirmed predictions, more predictions are made and can be tested. Specifically, if we know the rate of expansion and the amount of time of the expansion, then a cooling curve can be derived. Using the latest information and technology, the predicted cooling curve has been tested and confirmed by using two independent methods of observing the variation in temperature of the cosmos at different distances (epochs). This next generation of confirmed predictions (predictions arising from previously confirmed predictions) demonstrates the continued confirmation and shear explanatory power of big bang cosmology and, thus, the existence of a Creator and Designer of the universe, just as the Bible claims. This chapter is a short one, almost an "intermission." Dr. Ross dedicates some space to discussing Albert Einstein's equations of relativity and how they implied a beginning. He explained that the cosmology of an eternal universe, which he attributes to Immanuel Kant, was accepted by Einstein, thus Einstein believed that his equations were missing a term that would perfectly counter-act all expansion. After Edwin Hubble observed the galaxies moving away, Einstein conceded and removed his additional term. This however, did not convert Einstein to a theist; he rather accepted that God was the creator but was impersonal and unconcerned with the affairs of His creatures. His primary objection to a personal God is related to God's sovereignty and man's moral responsibility. Dr. Ross laments the fact that Einstein did not get to see his "cosmological constant" reinserted (though, at a different value) or all the fine-tuning evidence that his theories had paved the way for scientists to discover, for these may have intrigued Einstein enough to reconsider Christian theism and seek resolution to his theological concerns that stood as a stumbling block between him and Jesus Christ. Of course, Einstein was not the only scientist to resist a finite universe. Many scientific theories, that depended upon the availability of an infinite amount of time, had already been developed and become part of scientific orthodoxy before big bang cosmology was confirmed. The confirmation of big bang cosmology has turned many of these theories on their heads, and in some cases completely falsified them (13.7 billion years renders naturalistic theories of the origin of life impossible- see Dr. Ross' book "Origins of Life" for an in-depth study of this challenge). Several different naturalistic models have been proposed in an effort to avoid a singular cosmic beginning. The first competing model is the steady-state model. Simply put, this model holds that the universe has existed into the infinite past. It attempts to counter-act the expansion of the universe by positing that matter is constantly being created. Several tests have been conducted to confirm that this simply is not happening, thus falsifying the steady state model. Another version of the steady state has been proposed, though. This one holds to the universe existing the infinite past but posits that matter is only created in bursts at specific locations within the universe (quasars). Unfortunately for this quasi-steady-state model, the test that is proposed is fully consistent with big bang predictions as well. In fact, the observed densities of quasars at different distances not only shows the quasi-steady-state model incorrect, they match the specific predictions of big bang cosmology. The same observations serve to falsify one model (quasi-steady-state) and confirm its competitor (big bang); thus observations again confirm that the universe had a beginning, just as the ancient biblical authors recorded thousands of years ago. Even though observations relegated steady-state models to the abyss, many non-theists still wished to avoid a singular, absolute beginning. They hypothesized that perhaps the big bang was just one of many in an infinite series of expansions and contractions of the universe into the infinite past. This new theory would be able to account for all the same evidence that supports the beginning without there being a single beginning. This model, though, required mechanisms to shrink the universe and cause it to bounce back from the compressed volume (not infinitesimally small, like proposed by big bang cosmology, though). Both theoretical and observational evidence demonstrates that neither mechanism exists. In order for the universe to recompress, it would require a considerable amount of matter more than what exists in the universe (even after accounting for exotic matter). If no mechanism exists to compress, then no mechanism can exist to reexpand the compressed mass. Compounding the problem is the existence of entropy. Entropy would require that each successive "bounce" would produce a universe smaller and smaller. If the universe had been getting smaller from the infinite past, the size of the universe today would be no different from the fully compressed volume. Thus this "oscillating" universe model, as it is commonly called, fails observationally and theoretically not just on these counts but on others that Dr. Ross details. There does exist a short period of time after the big bang that no technology can observe (from the beginning to when the universe was 10^-43 seconds old). Theoretical physicists use this period of time in the universe's history to speculate about exotic physics that may ultimately remove the need for a singular beginning or a beginning at all. However, even though they cannot be directly tested, these theories can be indirectly tested. All theories must result in a universe that exhibits the features that scientists observe today, so these speculations can be tested (negatively tested only; they can only be falsified but never confirmed) by comparing their implications to what exists today. Dr. Ross gives several examples of how these speculative theories have been falsified through indirect testing. If established, the beginning of time would have one of the most significant theological implications. It would require that time had a creator; something that only the Bible, among the world's "holy" books, unambiguously claims about our world. In the late 1960s, the space-time theorems of general relativity were proposed by a team including none other than Stephen Hawking. Based upon the extensive testing of general relativity (which Dr. Ross spends the majority of the chapter explaining in detail), these theorems have been well established and indicate the big bang was the beginning of not only space but time, as well. As mentioned above, many attempts have been trying to avoid the beginning by appealing to unknowns within the first moments of the universe's existence. The hope, by those who oppose a Creator, is that this period of time would allow for the universe, somehow, to be past infinite in age. However, the space-time theorems of general relativity were extended even further back, and being based upon already well-established observational evidence, do prove correct, The implications of this extension is that an absolute beginning is required even beyond the initial moments of the universe's existence. This means that all models, including oscillating models and multiverse models, eventually would require an absolute beginning at some point in time and that the cause of the universe exists beyond the space-time dimensions (transcendent existence). These are discoveries that no "holy book" saw coming (predicted), except for the Bible. Even though the extended space-time theorems established that the universe had a beginning, that means that whatever (or Whoever) caused the universe also created time. In order for cause and effect relationships to exist, time must also exist. The Bible stands alone claiming that while there is a portion of reality in which our time did not exist (e.g. 2 Tim 1:9; Titus 1:2), the Creator was still operating in cause-and-effect relationships (e.g. John 17:24; Ephesians 1:4; 1 Peter 1:20). Dr. Ross explains that to create God exists in, at least, one more dimension of time (to create the dimension of time that our universe operates within) and possibly in more physical dimensions as well. (Dr. Ross refers the reader to his book "Beyond the Cosmos" for a deeper discussion of this possibility and some of the theological questions it may help to answer.) Big bang cosmology establishes that the Creator is transcendent, which Christianity affirms yet other worldviews deny. One of the requirements of the time-space theorems is that time always moves forward; Dr. Ross states that this really makes time only half a dimension, which requires that anything that is confirmed to it must have a beginning. Many skeptics often challenge God's existence by asking if everything was created, then who or what created God. This is answered by recognizing that the Creator is not confimed to the time half-dimension, which would require a beginning, but since God is not confined to this half-dimension, He does not require a beginning. Skeptics have proposed other possibilities to avoid time's beginning (to avoid the universe's needing a cause), and Dr. Ross concludes the chapter by quickly addressing these alternative hypotheses. In this chapter, Dr. Ross interacts with the conclusions Stephen Hawking offered in his books "A Brief History of Time" and "The Grand Design." In the first book, Hawking proposes his and James Hartle's model that appeals to imaginary time to avoid a cosmic beginning and thus the necessity of a Beginner. Beyond the evidentially unwarranted appeal to imaginary time, the model necessarily requires that sometime in the future, the universe will eventually stop expanding and compress back on itself. However, this model cannot be true because the universe does not possess enough matter to allow such a collapse to take place no matter how distant in the future. There have been several attempts to reformulate the model to accommodate the latest evidence, but all appeals have since fallen short of the evidence. In "The Grand Design," Stephen Hawking and co-author Leonard Mlodinow appeal to discoveries of extra-solar planets to demonstrate that the earth is not unique but quite common, and they appeal to the multiverse to avoid an absolute beginning to the universe. The claims, if correct, seem to remove the need for a Beginner or a Designer to explain the current state of our universe. Dr. Ross will reserve an entire chapter on the discussion of the multiverse, but he addresses exoplanets here. He explains that of the 3600+ exoplanets that have been discovered so far, none of them are sufficiently like earth (it must exist in all nine habitable zones- discussed in greater detail his book "Improbable Planet") to support life more advanced than the hardiest of microbes. Dr. Ross explains that for those expecting to discover extra-terrestrial life, the latest discoveries great disappoint. In order for life to exist on another planet, not only must an exact twin of our planet exist, it must exist in the context of an exact solar twin and an exact solar system twin (that would mean that our neighboring planets' compositions and locations would have to match, as well). Not only is there the planetary issue for an environment suitable for the origin of life, there is also the biochemical challenges. Dr. Ross explains that prebiotic chemistry shuts down in the presence of oxygen yet fatal ultraviolet radiation can only be filtered out by oxygen. This presents a problem for the origin of life on earth because studies into the history of our planet demonstrate that the level of oxygen was more than sufficient to prevent prebiotic chemistry at the time in history that the first evidence of life appears. Dr. Ross spends the remainder of the chapter demonstrating how science has provided problems for Hawking's views not only in observation of the universe but also regarding ideas of knowledge (epistemology). Of course, Hawking's model is not the only challenge to a beginning and design that exist to this day. As the evidence of a Creator has been mounting over the decades, skeptics have been busy looking in all directions for some possible escape from the biblical claim of a Creator and Designer. Quantum mechanics has seemed to provide some promise to this end in four ways. Various appeals to quantum tunneling, a universe from "nothing," an infinite multiverse, and observer-created reality have all been attempted. In the first of these options (quantum tunneling, offered by Paul Davies), the proposed mechanism would have to take place in the physical dimension of time before the dimension of time even existed. This proposal also requires that things popping into existence uncaused is a common feature of reality, yet observations of reality demonstrate the very opposite. The second attempt addressed is the model of Lawrence Krauss. This proposal is dependent upon a "hyper" quantum mechanics that is not constrained by the universe yet requires higher dimensions to operate. Among other issues, the big problem with Krauss' model is that it requires a second hyper-inflationary event that, when combined with the current inflationary event already required by big bang cosmology, does not produce any universe where life is possible. This failure, though, has caused Krauss to resort to the third option: an infinite multiverse. Some skeptics believe they can escape an absolute beginning and fine-tuning by appealing to an infinite multiverse. The idea of the infinite multiverse is that if an infinite number of universes exist that exhibit an infinite number of different values for the physical constants, then at least one of them will produce life. Unfortunately, this still does not eliminate the need for God for at least five reasons that Dr. Ross describes in detail. The fourth and final option appeals to the Copenhagen interpretation of quantum mechanics. Dr. Ross explains eight ways in which this interpretation violates logic and reality, thus an alternative is necessary. Quantum mechanics currently has ten interpretations that have been seriously proposed, some of which are perfectly compatible with God as both Creator and Designer. Ultimately, quantum mechanics poses no threat to big bang cosmology or to the biblically predicted discovery of the universe's absolute beginning caused by a Beginner beyond space and time. The design argument offered by William Paley is one of the most popular. He offers that just as no one would posit that a watch was the product of natural processes because it is unreasonable, so too no one should posit that creatures with similar or greater complexity and specificity are the product of natural processes. This argument has been attacked on several different fronts that Dr. Ross addresses in this chapter. The first is that of David Hume. Hume's issue with the argument is that organisms are not close enough to a watch in function or configuration for the analogy to be a good one. Dr. Ross responds simply by pointing out that Hume was speaking in a period of time when knowledge of organisms' functions and configurations was extremely limited. Since then, the discoveries have taken knowledge of the function and configurations of organisms (and their individual cells and molecules) well beyond that of watches, thus Paley's analogy stands firmly. Darwin offers that his observation of gradual change between generations of the same species of animals, where bad changes are weeded out by the reduced or inability of organisms to reproduce, explains how such complex organisms could arise from simpler organisms. The admission by Darwinists that their mechanisms cannot come into play until the origin of life takes place, means that before evolution can be explanatory of complexity and diversity (from a naturalistic perspective), all origin-of-life issues and challenges must be resolved. The just-right requirements of the origin of life keep pushing the origin of life closer to the current day in cosmic history, yet evidence of complex life keeps pushing the appearance of complexity further back. These two are getting so close to each other as to suffocate any undirected hypothesis for the design found in organisms. Dr. Ross also points out that the Bible alone makes sense of the sudden disappearance of new species from the fossil record shortly before the first appearance of humans. God's final creation was humans, according to Genesis. Thus the Bible predicts this sudden halt in diversification, yet the evolutionary paradigm predicts the exact opposite. Gould believes that the evidence of "bad designs" in nature demonstrated that organisms exhibiting such poor features could not have been designed by an intelligent designer. But this argument fails on two accounts. First, as research has continued into the "bad designs," scientists have discovered that they are actually good designs by themselves or within the context of the overall system they are part of. Second, divine design does not preclude natural processes, which may allow for some diversification within the observed limits. Thus challenges to William Paley's argument do not stand, and, again, the biblical view that a Designer created the universe and all within it stands unfalsified and evidentially and logically sound. Illuded to in the discussion on the multiverse is the need for an infinite number of universes of an infinite number of values for the constants of physics to allow for just one of them to produce life. In this chapter, Dr. Ross goes into more detail about the fine-tuning of the laws, components, and processes of this universe necessary for advanced life that warrant the necessity of an infinite multiverse for the naturalist. From the subatomic scale to the molecular scale, the types, varieties, and ratios of the various building blocks of our universe have precise values required for not just for life, but for stars, galaxies, and planets to form. The laws of physics that govern the behavior of these components also must be precisely finely tuned within a large range of possibilities, again, just for stars, galaxies, and planets to form. Dr. Ross describes only a few of these different values in this chapter. The ones that he chose, though, establish firmly why naturalists are compelled to agree with, at least, the appearance of fine-tuning of this universe for life. He mentions that 140 different values have been discovered to be required and precisely finely-tuned, otherwise life would be impossible, over the decades, and the trend continues. Different skeptics have responded in different ways to the compelling evidence of the fine-tuning. Dr. Ross includes several pages loaded with quotes from various astrophysicists, who have studied the values, who recognize the appeal to intelligent agency (indirectly and directly) to explain the presence of so many features and the precision of the fine-tuning. Of course, not all astrophysicists grant a Designer (of some sort). Some insist on naturalistic explanations. All the arguments for these alternatives to God fall under one (or more) of five different arguments. Dr. Ross takes each one and addresses the essential features that render them untenable as challenges to fine-tuning. The last of the five challenges that Dr. Ross addresses focus on the model presented by Frank Tipler. After demonstrating the various ways that the model fails, Dr. Ross concludes the discussion and the chapter by rejoicing that Tipler eventually accepted the theological implications of big bang cosmology and accepted Christ as a result of the evidence that God put forth in His creation. Given all the physical and empirical evidence of the God of the Bible presented in the pages of this book, many skeptics have resorted to using nonempirical reasons to justify their skepticism. It is common (as discussed above) for the skeptic to appeal to either what is not currently known (other physics) or what is unknowable (complete speculation) to rescue their denial of God from being totally illogical. Some skeptics use circular reasoning in their models to attempt to escape a cosmic beginning (they begin with a cosmological model that precludes a beginning then uses it as evidence of a lack of a beginning). Another tactic is the requirement of 100% certainty or absolute proof (the requirement that all conceivable questions and challenges must be answered) before acceptance of the conclusion of God's existence is accepted. If this kind of proof was required before we were willing to believe things in everyday life, living and even relationships would be impossible. A common skeptical challenge to God's existence is that theists are simply inserting "God" where there is a lack of knowledge- "God" is merely a mechanistic gap-filler to explain how something happened when the "real" mechanism has not yet been discovered. Interestingly enough, naturalists do the same; they insert "nature" where mechanisms have not yet been discovered (examples are given above). Dr. Ross explains that, for both sides, there is no guarantee that the gap in knowledge will be filled or not filled. Ongoing research has revealed natural mechanisms, and ongoing research has revealed the impossibility of natural mechanisms (as described thoroughly above regarding attempts to erase the cosmic beginning). Dr. Ross explains that even if gaps seem to be filled, they are never completely filled, so gaps in our knowledge will always exist. Even though Dr. Ross has shown throughout this book, when it comes to cosmology the trend of shrinking gaps is on the side of the biblical God while the trend of enlarging gaps is on the side of naturalism, there exists other areas where these trends continue: the origin of life and creating life in the lab. Dr. Ross summarizes some of the latest information in these fields to make his case (more detail can be found in the books "Origins of Life" and "Creating Life In The Lab," respectively). Dr. Ross encourages the skeptic to recognize and follow where the trend of the evidence is leading: to the biblical God. Dr. Ross explains that the universe, as a whole, is not the only scale at which fine-tuning is detectable. Fine-tuning has been discovered at the scales of the galaxy-cluster, galaxy, star, solar system, and planet. The right type and size of a galaxy is necessary. It must be a spiral galaxy (which removes most galaxies in the cosmos from consideration) and it cannot be too big or too small. The galaxy cluster must also not be too densely populated with other galaxies, which would gravitational destruction of the life site, or too sparsely populated, which would prevent the spiral structure of the host galaxy from being maintained for the proper amount of time for life to originate and continue. The host star must also be located at the right spot between the spiral arms of the galaxy and maintain this location as the galaxy rotates, to avoid gravitational disturbances from other stars in the galaxy. This means that two+ star systems are ruled out as well. The mass of the star must be just right, for if it is too massive it would burn too quickly and if it is not massive enough it would flare too much. The mass also affects the zone around the star that the host planet may reside, which if too close or too far has its own set of pitfalls for life. Because of these constraining requirements for carbon-based life, some scientists have speculated that perhaps carbon-based life is not the only possible type of life. However, the only other elements that have the possibility of being a basis for life are either too rare, too poisonous, or are unstable with a large number of chemical bonds. This means that the life-site must be able to support the origin and maintenance of carbon-based life. Scientists have discovered nine different "habitable zones" (physical locations) that the host site must reside in simultaneously. The only place where life can originate and be maintained is the locations where all nine zones overlap. Dr. Ross lists out each of these zones and refers the reader to his book "Improbable Planet" for a detailed discussion of them. Improbable Planet from RTB: MEDIA on Vimeo. To add to the fine-tuning of the site for life, the planetary neighbors and the moon must also be finely-tuned. The neighboring planets must be the right size and distance to be able to shield the life site from most life-exterminating collisions but not massive enough and/or close enough to interfere with the gravitational orbit of the site around its host star. Yet, they do need to allow one exterminating collider (what created our moon) before life originates in order to set up the site for maintaining life (plate tectonics, delivery of vital poisons, and recycling nutrients). The list of features that must be finely-tuned just goes on and on in this chapter. Outside the work of a purposeful Mind behind this finely-tuned project (that is, life), believing that we are here by natural processes alone scientifically and philosophically defy credulity. It is only the work of a purposeful Creator and Designer, who desires to be known, that scientists even exist to discover the power, beauty, and majesty in our cosmos that reflects its Creator. This chapter certainly stands on its own to establish fine-tuning, but for those who wish to go even deeper to discover levels of fine-tuning beyond the scope of this chapter, check out Dr. Ross' book-length treatments, "Why The Universe Is The Way It Is" and "Improbable Planet: How Earth Became Humanity's Home." Throughout this book Dr. Ross has shown how scientific evidence leads to the conclusion that the Cause of the universe is transcendent and exists and operates outside of time and our familiar dimensions of length, width, and height. The Bible, as explained in the first chapters, identifies God as the Cause of the universe. But the Bible doesn't stop at describing God simply as the Creator; it reveals much more about God's character, including some attributes that are difficult to understand. Some of these include His triune nature and His simultaneous distance from and nearness to humanity. Dr. Ross explains that while these concepts may seem impossible to comprehend and thus causes us to doubt His existence, these attributes can make sense within the expanded existence of additional spatial dimensions and at least one more time dimension. Dr. Ross uses these two examples to demonstrate that the apparent difficulties in God's character or interaction with the universe are not valid reasons to doubt His existence, and our understanding of the Creator's ability to act within extra dimensions provide a possible way to resolve the apparent difficulties. Dr. Ross concludes by answering the question of why God has chosen this generation to be the beneficiary of all the evidence presented here and not previous generations. He explains that it appears that God gives more evidence based upon the level of resistance to Him in culture. He explains that with all the extra time and comfort of this generation compared to previous generations, this generation tends to credit themselves with these great accomplishments and ignore the Creator and Sustainer of the universe. This revelation of stronger and stronger evidence of the Creator is presented to counteract the prideful attitude of today's culture. But not every member of our generation thinks this way. Many are willing to look at the evidence presented and follow it to where it leads with an attitude of humility. Dr. Ross reminds the reader that the Creator will draw near to and reward those who earnestly seek Him (Hebrews 11:6). Christians can use the evidence that God has revealed through the study of the heavens to strengthen their own faith and to show the honest seeker the love and forgiveness of Jesus Christ. As I alluded to in the introduction, this "The Creator and the Cosmos" was an indispensable tool that Christ used to help me resolve struggles that I had between what I heard scientists were discovering about our universe (the big bang) and my Christian faith. Not only has God turn naturalistic and atheistic arguments on their heads, He has demonstrated through His creation that His Word is true, inerrant, and authoritative. I love how Dr. Ross presented the evidence for each one of these. His approach of providing evidence upon evidence upon evidence upon evidence for both the beginning of the universe (what begins to exist must have a beginner) and the design of the universe (what is designed must have a designer) is compelling, to say the least, and his tone with which he presents his case is confident yet humble. As he concludes his discussion in each chapter, Dr. Ross always brings the reader back to the God of the Bible. He presents the latest discoveries of scientists and shows how they demonstrate God as the Creator. He does not shy away from seemingly powerful challenges and shows how those challenges, when investigated more deeply, either come apart or actually make the case for God even stronger. I love how he concludes the book with a call to both the believer and the unbeliever. To the believer, Dr. Ross encourages them to use the evidence from God's creation to provide to the unbeliever "a reason for the hope that they have...with gentleness and respect." He invites the unbeliever to follow that evidence where it leads and surrender their life to their Creator and Savior. I have always loved watching scientific documentaries that describe how the cosmos works, but I always felt uncomfortable when origins began to be discussed. Since reading "The Creator and the Cosmos" for the first time, I have not watched those documentaries the same. Every time a feature of the universe is described, I now see multiplied evidence of the universe's beginning, of its intricate fine-tuning for humanity, and of its awesome beauty: all God's handiwork. This book has turned nearly every scientific documentary into a tool to strengthen my faith and demonstrate to the scientifically minded skeptic the evidence for God as our Creator. This book had a tremendous impact on my faith, my life, and my witness for Christ. Any Christian bookshelf is incomplete without a copy of "The Creator and the Cosmos." What can we know about the Jesus of history? Why Must Christians Appeal to Science In Arguing Against Abortion? 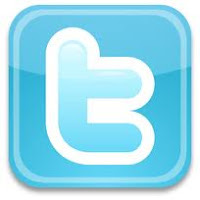 For More Great Resources Follow Us!